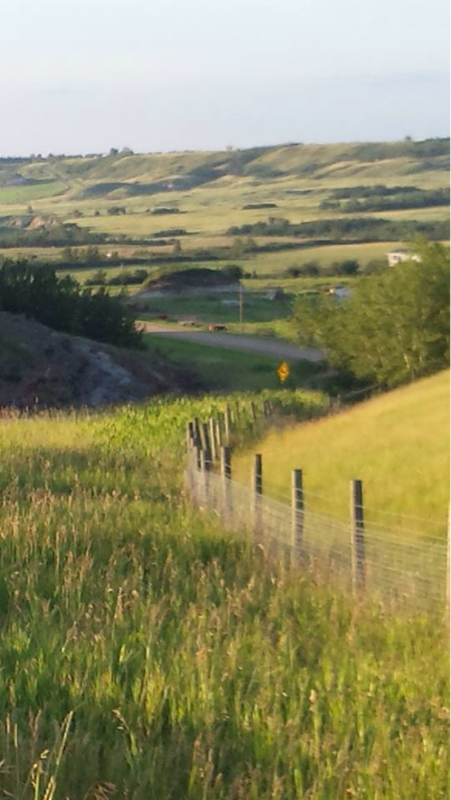 Welcome to Camrose County's Living Heritage Project! Here, you'll find a connecting point, or a thousand, between the past, present and future. New to the area? Family roots sink deep into the banks of the Battle River? Either way, we're glad to have you! Grab a cup of tea, and wander around a little. If you'd like to digitally connect with Camrose County, visit the county site by clicking on the box in the centre above. Find us on Facebook and Twitter if that's more your thing. Better yet, experience some of our treasures in person. There will be gravel roads and fresh air involved! Find out why around here, we believe in respecting the footprints of the past. We choose to follow them into our future. 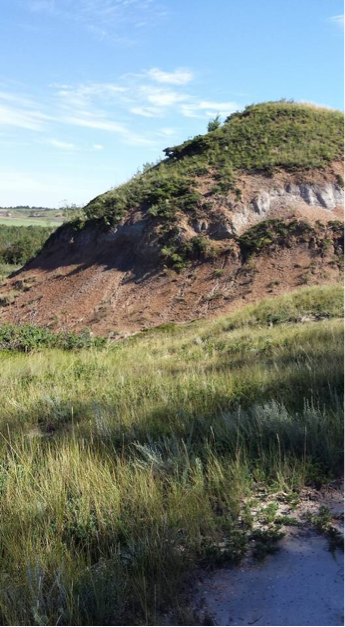 This site exists as an ever evolving collection of stories, structures and adventure points; connecting people, places, and nature; just some of the treasures we cherish in Camrose County. You'll keep in mind, I'm sure, that memories wander at times. In collecting the stories we have, we make no promises that things unfolded exactly as told. We are simply sharing teaspoons of recollection where ever we can. We all know how memories colour with time. If you find something that intrigues, check it out further. We've included a section of suggested readings for just that! 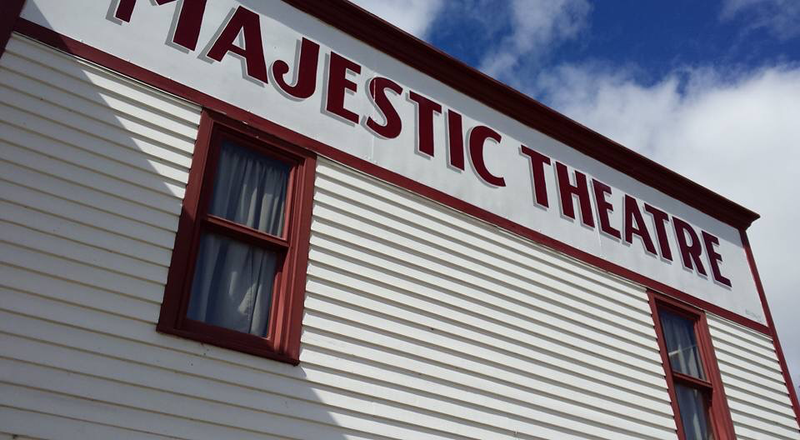 Interested in exploring some of the Historical Buildings in the area? Does our Natural or Cultural Heritage call you by name? Does Community celebration and Tourism tickle your fancy? You've stumbled across a plethora of possibility, and this is just the beginning! Enjoy! 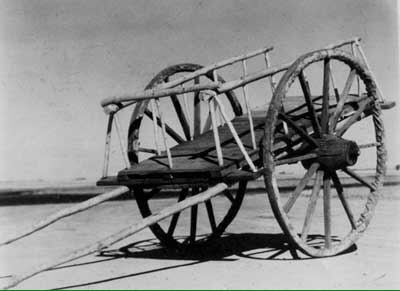 Directly below, is a photo of a settler wagon taken at Telegraph Park just outside of Hay Lakes. 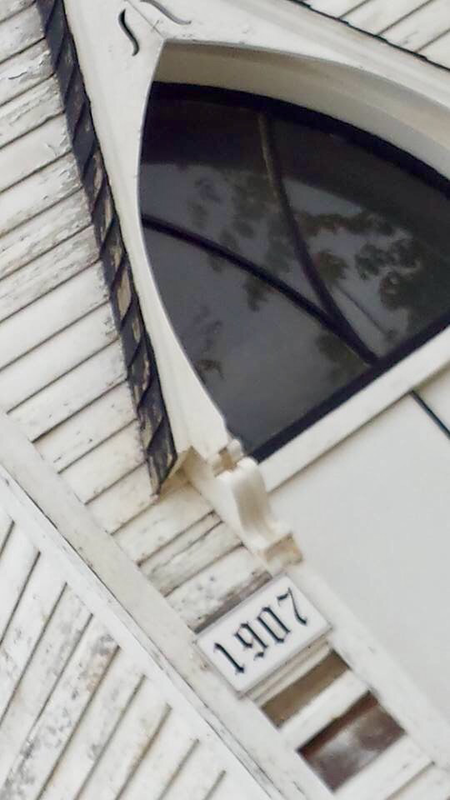 The park holds history at every turn. Find out more under the "Natural History" and "Tourism" tabs above. 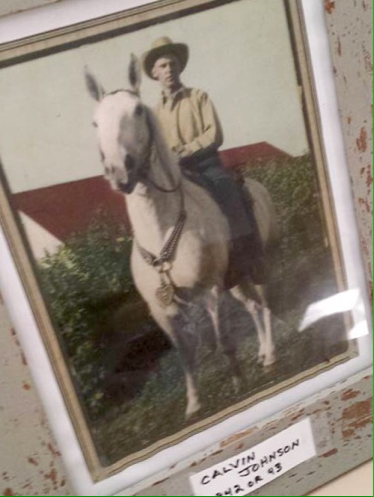 The photo below, of local resident Calvin Johnson, is located in the Fridhem Church. For more on Calvin, see his page under the "Cultural Heritage" tab. More on Fridhem Historical Church can be found under the "Architecture" tab above. 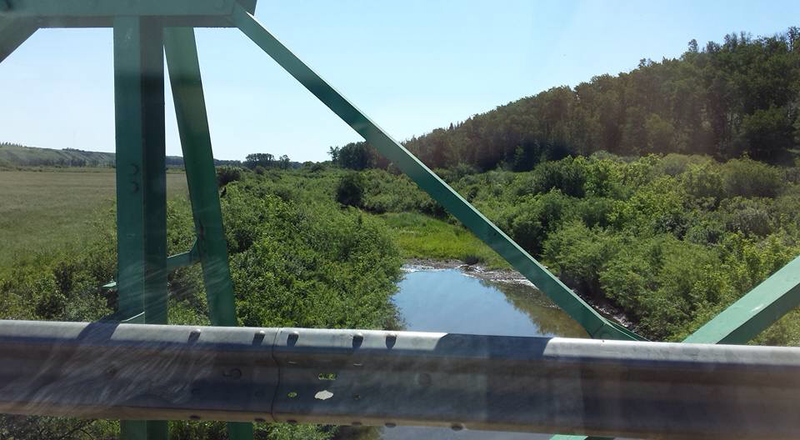 Pictured above is one of the many twists and turns found on the Battle River. Local Indigenous knowledge, shared by Cree Elder, Roy Louis in the collection pictured below, tells us that the river got its name for the many confrontations that took place on its banks between the Blackfoot to the south, who often collided here with the Cree Nations to the north. The first settlements of Metis heritage, flourished in the area in the late 19'th century, with families such as the Laboucanne's who helped to form the original Metis Settlement, Duhamel. 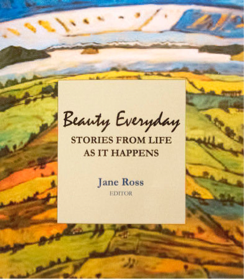 Beauty Everyday: Stories from Life As It Happens is the latest publication by local scholar, author and anthropologist, Dr. Jane Ross. 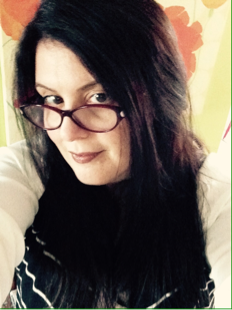 Jane is a woman self described as "comfortably cosmopolitan, but passionately rural". She has been applauded on the global stage for bringing together a truly inspiring group of authors for this compilation from the Battle River Writer's Centre. Beauty Everyday:Stories from Life As It Happens was released in Canada in the summer of 2016, and in Australia in the fall of the same year. Today, Camrose County is an intriguing blend of passions. Stories of the triumphs and turmoil of the First Nations whisper and roar. Effects of the call of the frontier stand before us, in our buildings, monuments, and trails. Agricultural lifestyle continues to thrive, while the University of Alberta's Augustana campus draws local and international communities into its intriguing embrace. The arts are alive and well, whether you find them in the futuristic architecture of the Lougheed Centre, (a project that Camrose County donated one million dollars towards, ) or in a refurbished grain bin! Amazing souls have wandered the ground beneath our feet. The footprints continue today. Have a look around often. The landscape is bound to change. Let the voices of the past impact your future. 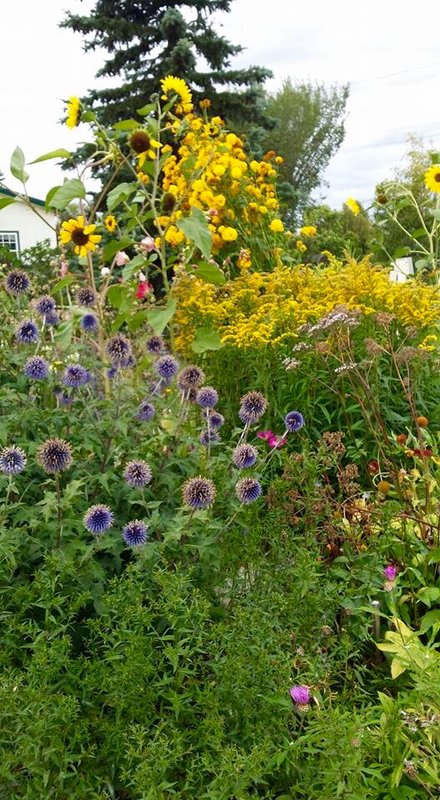 Camrose County, and the Living Heritage Program is waiting. Unless otherwise noted, photographs and interviews compiled here, have been done by the Living Heritage Program coordinator, yours truly. Camrose County created a summer position for someone to run with ideas already gathered, of the history surrounding us here. From June to September 2016, I was given the blissful opportunity to create and connect with the county that has become home for me and my family. I had no idea, when I started, the joy and intrigue that this work would inspire. I've experienced stellar hospitality, heart warming honesty, and passionate connection to place. I have discovered that some of my heroes, Farley Mowat, Louis Riel, and others, are intimately connected to the prairie grasses now beneath my feet. Along the way, I've added exponentially, to my living heroes as well. These voices have helped to create this work, and together, we will see it continue and grow. I've been welcomed at farmhouse tables, and senior centre drop ins, at museums, galleries, cemeteries, brook banks, fields and indigenous and settler trails. For a time, I became almost, a long lost grand daughter, being entrusted with precious family truths; an ember from a long burning fire. Here's to protecting the ember; to fanning its flame for our children's children.